Discover more about private investigators capability, employment and regulations in Austin. Are you looking for a Private Investigator in Austin, Texas? We are an established investigation firm since 1967 that you can trust. We look forward to working with you in conducting an Austin or Texas Investigation. An Austin private investigator must apply to the Texas Private Security Bureau and pass licensing requirements, including a thorough background check, like any private investigator in Texas. While many Austin private investigators come from a law enforcement or military background, it is not a requirement for employment as a private investigator. Often times a degree in Criminal Justice or other security and investigation work can be just as important to prospective employers. You can rest assured that any Austin private investigator assigned to your case with ICS is fully licensed and insured in accordance with Texas state laws and participates in the required continuing education. It is important for you to have this assurance, as it is equally criminal in the State of Texas to hire an unlicensed private investigator as it is to operate a private investigation company without a license. Austin is the capitol of Texas and the center of the Austin-Round Rock metropolitan area, which has a population of over 1.6 million people. Austin is also the county seat of Travis County. The City of Austin is known for its diverse mix and has been selected for various awards, like best place to live, greenest city, best people, and more. In addition, Austin is a major center for technology and has been called "the Silicon Hills". However, Austin has retained a strong network of locally owned business and organizations, and is a hub of arts and culture. Austin has many buildings important to the people and State of Texas. 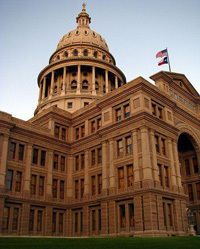 The most well known is the Texas State Capitol building, a major tourist attraction and pride of the state. When it was constructed it was considered the seventh largest building in the world, and is the largest state capitol building in the United States. 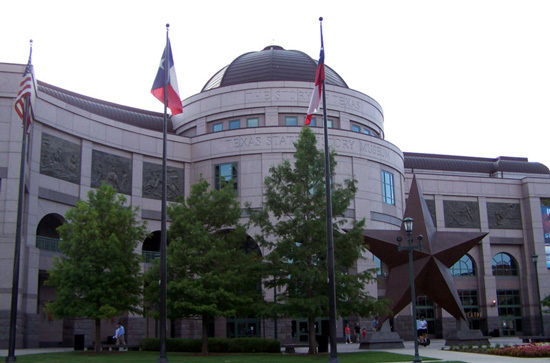 Austin is also home to the Texas State History Museum, as well as many other museums and centers for the arts. In contrast to most other large cities in Texas, Austin does not have an extensive road system and is the largest city in the United States to be served by only one highway. Austin has one major airport, the Austin-Bergstrom International Airport. Public transportation in Austin is handled by the Capitol Metropolitan Transportation Authority, called Capitol Metro, which currently consists mainly of bus lines but has plans to add a commuter rail system in the near future. ICS provides a full range of investigations for the City of Austin and its surrounding cities and suburbs, including: Round Rock, Cedar Park, Georgetown, and more. Whether your case involves fraud, adultery, missing persons, child custody, extramarital affairs or infidelity, asset searches, surveillance, background checks or any of our other services, ICS has the resources and expertise to find the answers you need. Do you need a background check performed on an individual in the City of Austin? Are you in Austin and need a background check performed elsewhere? ICS can provide this service and many others. Background checks are one of the most well known and useful investigation tools a private investigator can provide. Sometimes a background check is all a client needs and other times it is merely the first step into a more in-depth investigation, providing clues and leads for the private investigator and client to pursue. If you need an Austin background check or an investigation involving one, the professionals at ICS is ready to work for you to provide the discreet and confidential service you need. ICS has been helping people in Austin just like you get results since 1967.